Alvaro Rios Izquierdo has bred Boxers under the affix "De Bellaterra" for many years, having raised animals that have achieved great triumphs such as Agatha de Bellaterra, Maximo de Bellaterra, Sabina de Bellaterra, Heineken de Bellaterra, Olimpo de Bellaterra, Flagman de Bellaterra, etc. Undoubtedly the dog that occupies a special place in his heart is Nicos V.D. Burg Singidunum with whom he won Atibox in 2009 and the World Dog Show in 2011. As a handler he has also achieved great success with Thor de Borelcan, Ferrary de las Arillas, Lobo V.D. Burg Singidunum, etc. 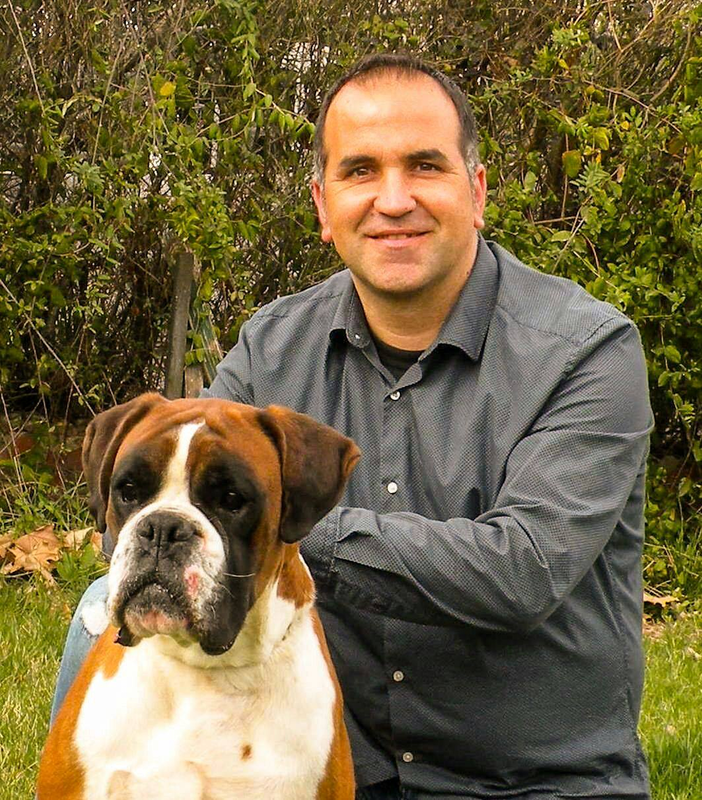 He is a specialist boxer breed judge in addition to an International FCI Judge of the breeds Dogo Aleman, Rottweiler, Doberman and Spanish Mastin, and has judged both in Spain, Italy, Portugal, Belgium, France and Germany. In 2016 he had the pleasure of judging the Italian Championship of the Year. Since 2007 Alvaro is a Member of the Committee of the Bóxer Club of Spain, and its President since 2015.